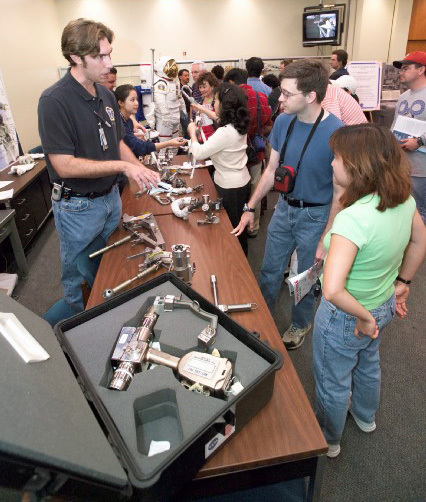 Left: Joe Gensler shows spacewalk tools to B.J. Guillot and Samantha. Take me to the X-38 pictures!